Spartan Soccer is pleased to offer one-day college identification camps throughout the year. Spartan ID Camps are for players in grade 8 and above who have goals and aspirations of playing collegiate soccer. The camps are designed to identify future college players while training and teaching potential players the demands of competing at the NCAA level through replicate collegiate level training sessions. Spartan Soccer Youth Camps are for boys and girls, ages 4-12. Youth Camps are offered as week long programs that provide an engaging environment for players of all skill levels. These camps are for players looking to improve on basic soccer skills and have a whole lot of fun! 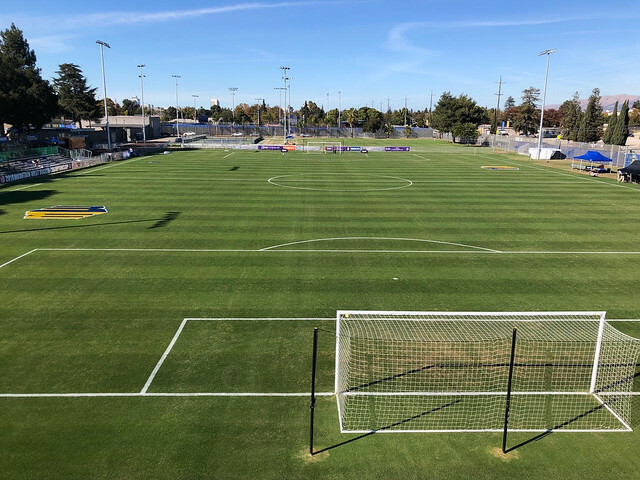 All camps will take place at Spartan Soccer Complex which is adjacent to CEFCU stadium on SJSU's south campus.